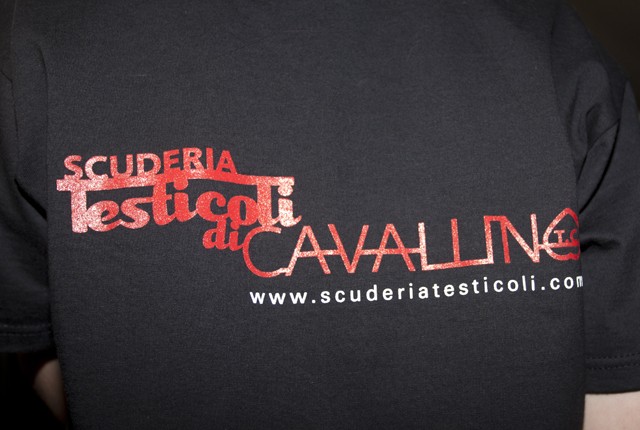 Check out the latest Scuderia Testicoli t-shirt design modeled here by Chloe. 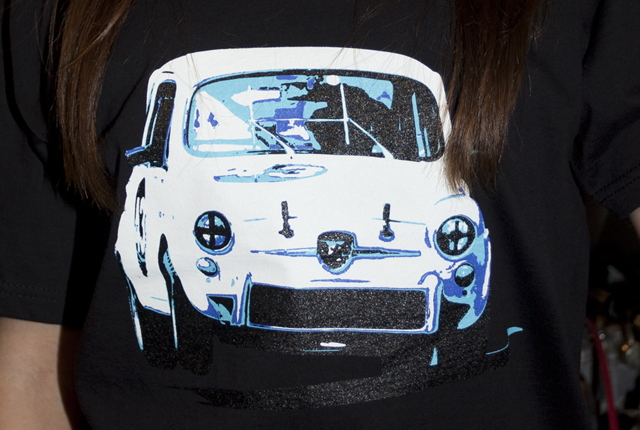 This years tee features Lucy our Fiat Abarth 1000 TC at Monza earlier this year taking a corner flat out on two wheels. 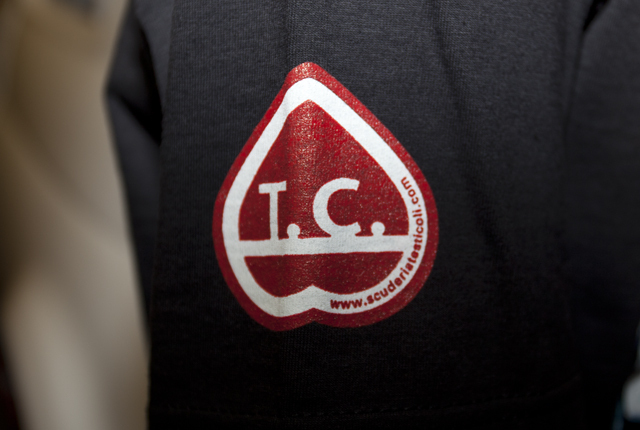 The tee also features our TC logo on the sleeve and the full team logo on the back. 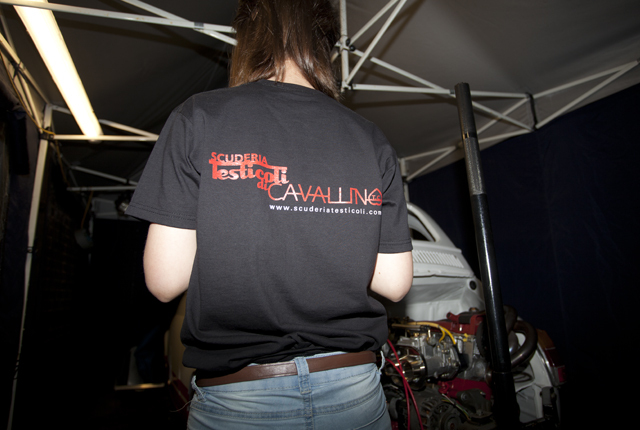 We are giving one of these fantastic very limited edition t-shirts away to the person who sends the best picture of where they have stuck one of our TC stickers (see the box to the right of this page). 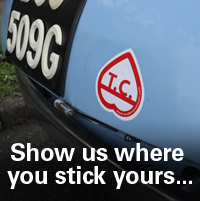 Come and visit us in the National Paddock, garage 7c at the Silverstone Classic or fill in the request form and get your free sticker. Next post: 2013 Season – Dates for the diary!!! !